As we just passed the mid-point of summer here in the United States many of us have been feeling the heat. With heat waves across the states, many of the buildings we spend our time in have been taking a beating by the heat. While there are building codes in place to help preserve our comfort and safety, there are times our climate exceeds their requirements. Below is a list of ways you can help your structure maintain your comfort and minimize repairs. Roofing Material: A black roof can absorb a lot of heat. The temperature of the roof surface can exceed 50 degrees above the outside air temperature on a hot day. That much heat will easily raise the ambient temperature of your space with the lack of additional insulation. One way to combat this is to review your roofs surface. A white roof will reflect sun off the building and keep the surface temperature down. 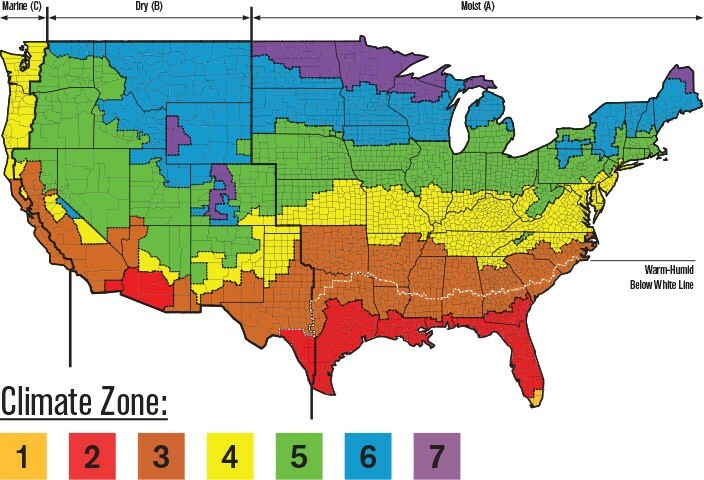 It is suggested that a white roof is beneficial to anyone located below Zone 4 on the ASHRAE rating; buildings in this area are dominated by cooling loads. Insulation: You can find insulation in your roof, walls, and even the perimeter of a building foundation. If you are lacking this barrier in any of the previously mentioned locations, it will act the same way as leaving a window open while your air conditioner is running. The efficiency will be greatly depleted forcing mechanical conditioned air units to be overworked. Windows: Window technology has greatly improved since single pane glass. This day and age triple pane glass is possible. Between these panes several types of gases are inserted to restrict the admission of radiant heat and lower admittance of ultraviolet rays. Several coatings can be applied to the surface of the glazing to ensure sunlight does not enter your space. Outside Air Access to Mechanical Unit: Mechanical units typically require outside air to function properly. If the unit is isolated by a solid or large surface the surrounding ambient air temperatures can often be much higher than typical. If these extreme temperatures are the circumstances a unit must work with, it will typically only drop the temperature 20 – 30 degrees. In these situations, the unit could fail due to constantly operating without reaching the thermostats set temperature. To avoid these scenarios, locate the unit where it will have access to cross winds and possibly shade to decrease the ambient temperature. JL Architects has resolved these issues in the past while watching out for them during their current designs. Perhaps your building or design could use our help too. Previous post The Blending of Academia and the Work Environment Next post Why Should You Hire an Architect?